He inserts the clip of the underwear from the previous video, which is how people are still able to get screenshots of it and stuff, even though “Swine Flu” has been privated. This also explains why there is confusion over whether or not Phil privated the video where he shows the underwear — He actually showed it in two videos; one is now private while the other is still available on his channel. 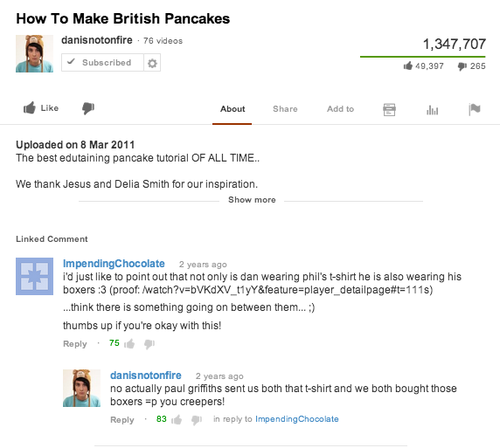 The next time the Sonic underwear makes an appearance, it is in the video “How To Make British Pancakes” from March 8, 2011 — ten months after Phil first showed the underwear. Dan staunchly denies that he was sharing Phil’s underwear. His story is that he and Phil both own their own pair. 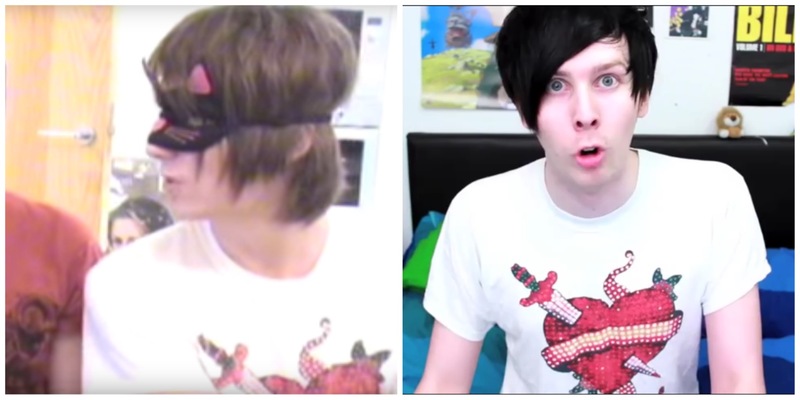 Dan: no actually paul griffiths sent us both that t-shirt and we both bought those boxers =p you creepers! 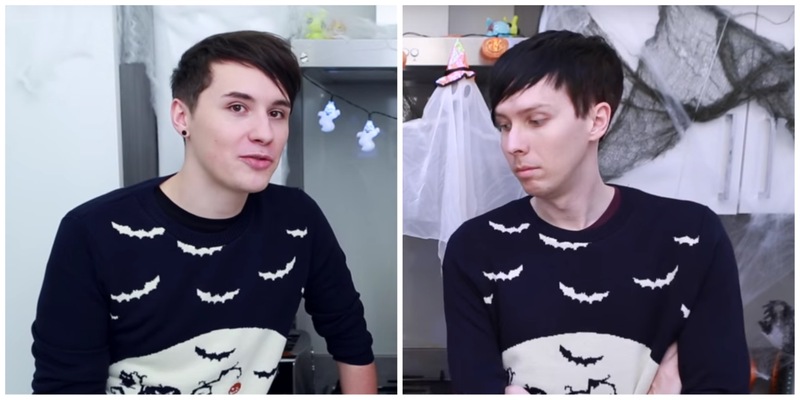 Question: I've noticed you and Phil often wear the same clothes...explain yourself! Dan’s response: No… pfft, “often” — what do you mean often? ...Okay, in that one video, I have the SAME pair of underwear as Phil; we both walked into Next and saw a pair of Sonic underwear and we had an argument over who should buy it, so… we both own the same pair of underwear. And for that one video, I borrowed his Babycakes t-shirt because everything I own is black and I wanted to not look boring ...“Often”? Really? [laughs] Creepers. Question: Have you and Phil ever got your sonic underwear mixed up? Dan’s response: Heh, no, because Phil actually bought, like, a size too small, so, that kept the confusion from being a continued thing because he threw his away because they didn’t fit. Q: Did Phil buy his pair of Sonic underwear while he was on holiday in Florida? A: Not necessarily. Many people take the “Swine Flu” video as evidence that Phil bought his underwear in Florida, which would directly contradict Dan’s claim that “we both walked into Next and saw a pair of Sonic underwear and we had an argument over who should buy it…” HOWEVER, if you look at the quote above (“I got some really cool boxer shorts, which I wanted to show you”), you’ll notice that Phil never actually says that he got the underwear IN FLORIDA. He just says he got them. It could be that he got them in the UK in Next, like Dan said, and then brought them to Florida, and decided to include them in his video. Q: Were the underwear actually available in Next stores? 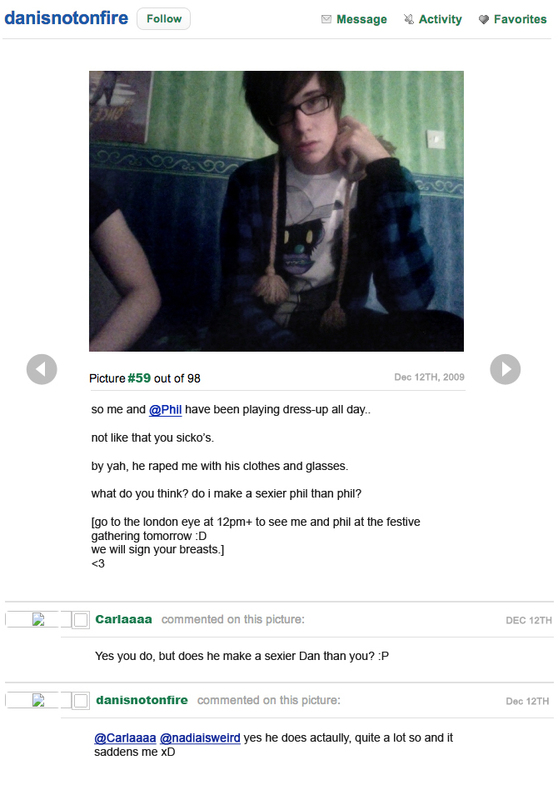 Dan’s repeated references to Next (in his vyou and in the annotation) seem like evidence that Next was truly involved somehow: Either Phil bought the underwear and Next and Dan knew that, or Phil bought the underwear somewhere else and he and Dan noticed that Next also sold them, or Dan is telling the truth and he and Phil both bought a pair at Next. It seems odd that Phil would buy the underwear in Florida and Dan would magically know to say they bought them at Next. Q: Is the pancake video the only time Dan has ever worn the boxers on camera? 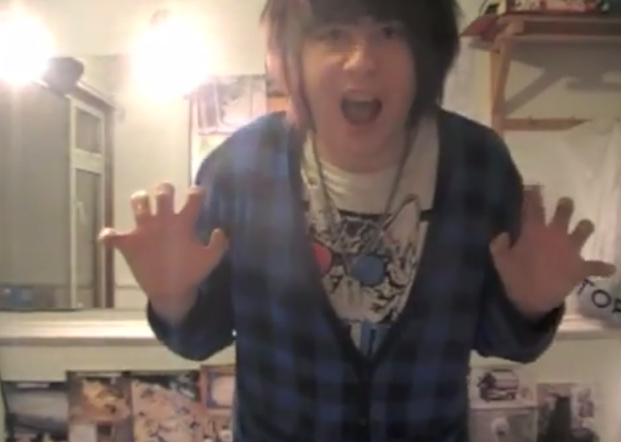 2) In Dan’s video “Truth or Dare 3” from August 5, 2011. At 3:55ish, Dan isn’t actually wearing the underwear, but Sonic underwear can be seen on the bathroom counter when Dan does the mentos & coke thing under his shirt. Behind them is a black pair of Calvin Klein underwear, idk if that's relevant. 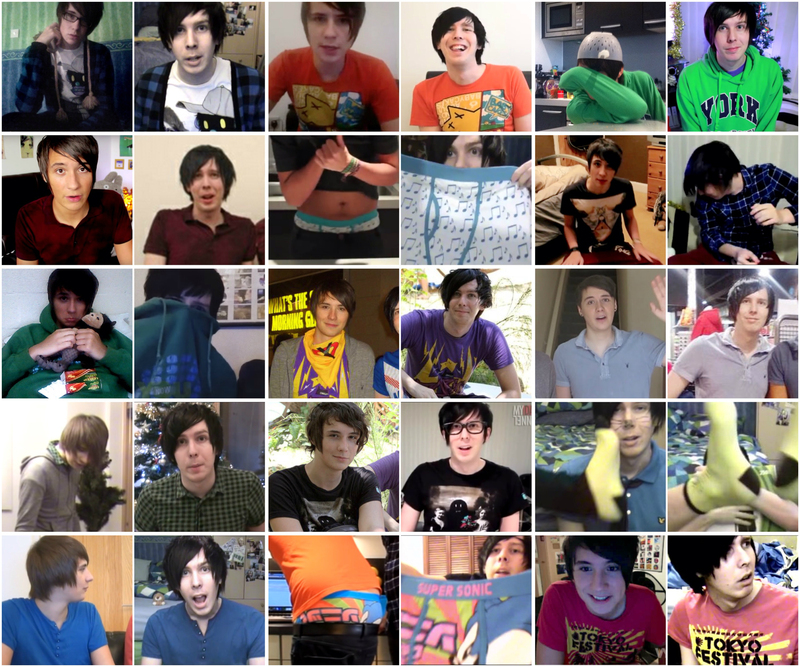 Q: Has Phil ever worn the boxers on camera? Q: Is there any actual evidence that Dan is lying? A: Yes and no. 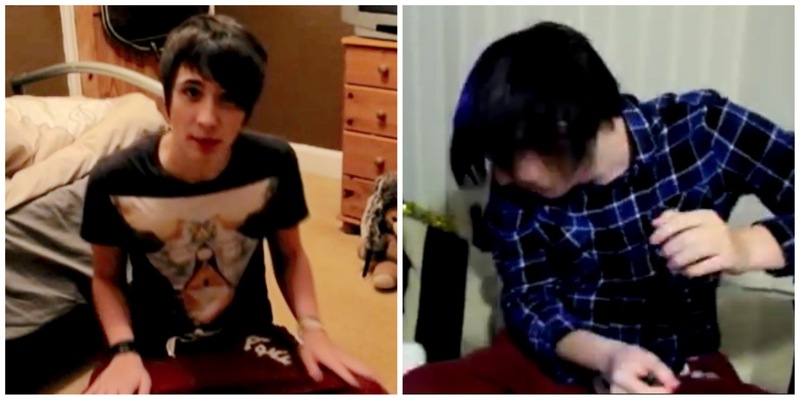 It is impossible to prove that Dan and Phil did not at one point both own an identical pair of Sonic underwear. 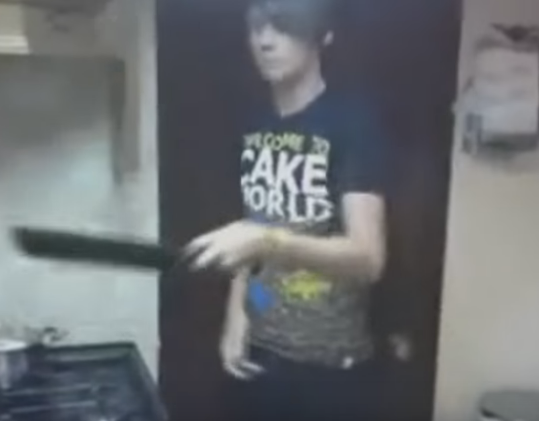 However, Dan frequently linked his comments about the underwear with explanations for why he is also wearing Phil’s orange Babycakes shirt in the pancake video. His comments about the Babycakes shirt are contradictory and could be taken as hints that he’s making things up about the underwear as well. (He talks about the underwear and the shirt in the same sentence, and if he was lying about the shirts, then maybe he was lying about the underwear). Q: Is this the only example of boxers that Dan and Phil have (possibly) shared? Which brings us to the blue musical note boxers…. 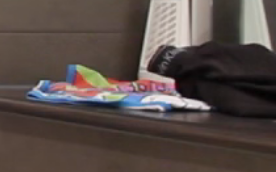 Neither Dan nor Phil has ever addressed this pair of boxers (except perhaps implicitly when Phil privated a video). This case is generally agreed on as an unambiguous, indisputable example of them sharing underwear, or at least of Dan wearing underwear that used to belong to Phil. Phil showed these boxers on camera in a now-privated video called “I found a slinky.” It was published on February 1, 2009, eight months before he met Dan in real life (so no chance of them going into a store together and both buying a pair, and no chance of Dan leaving his own underwear at Phil’s house). Q: The “I found a slinky” video is now privated. 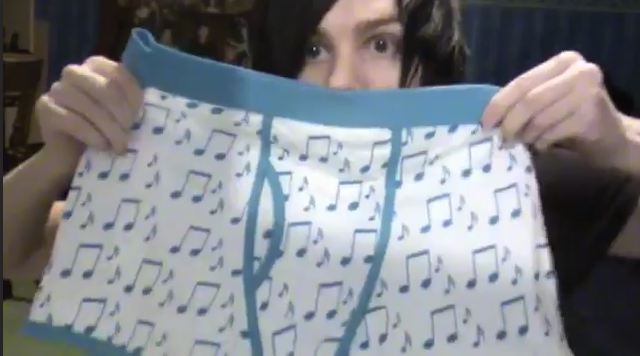 Did Phil private it because of the underwear? A: Possibly, but it is worth mentioning that this video also contained a few references to Charlieskies and the “Pabloislove” channel, so would have arguably had reason to private it even apart from the underwear. Yes, they have shared at least one pair of underwear, the pair with music notes. They’ve probably shared two pairs (Dan denies that they ever shared the Sonic underwear, but although Dan’s denial cannot be disproven, there is reason to doubt it). 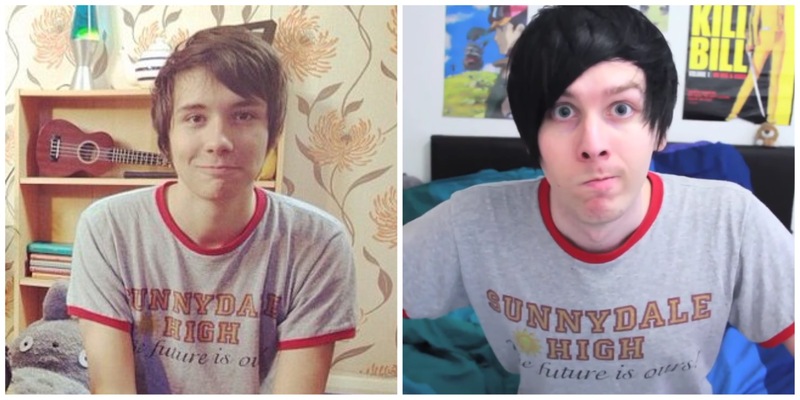 Do Dan and Phil share clothes? 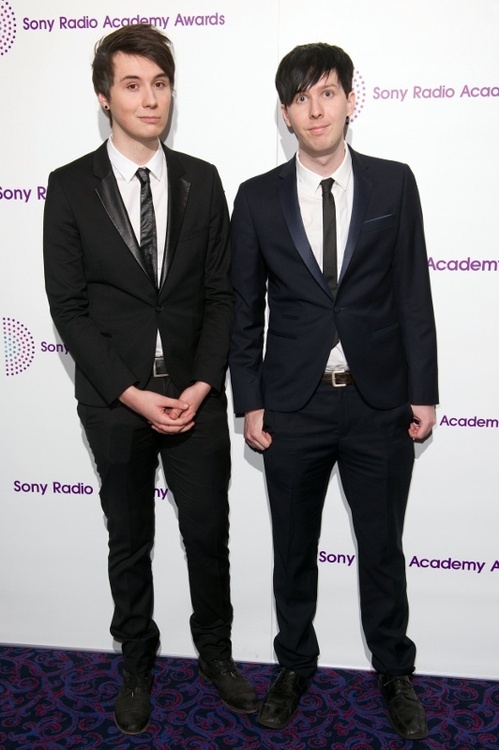 DISCLAIMER: I am not trying to say “omG they shur clothis!1 PHAN” (to quote Dan cough cough). I’m just trying to make an organized masterlist of this stuff, because I ALWAYS hear people talk about the clothes-sharing, but I never saw any real sources cited for when Dan had made his infamous denials. 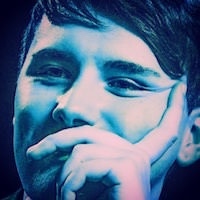 Since people talk about it so much, I thought it would be useful to have a comprehensive post about it in the FAQ section, along with an examination what Dan’s said and why it is or is not true. 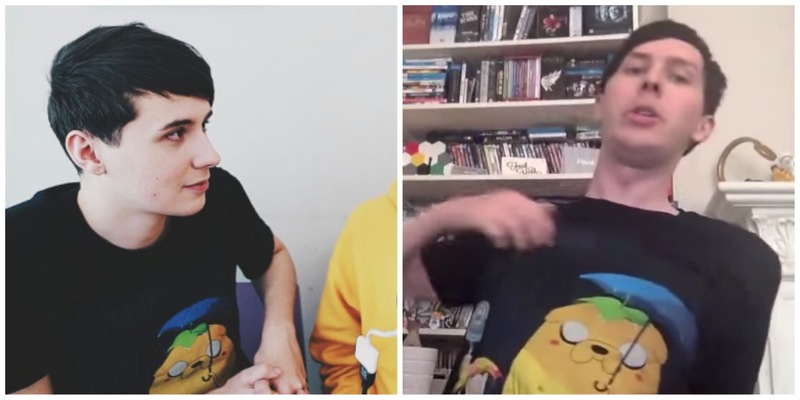 Q: Do Dan and Phil share clothes, i.e. 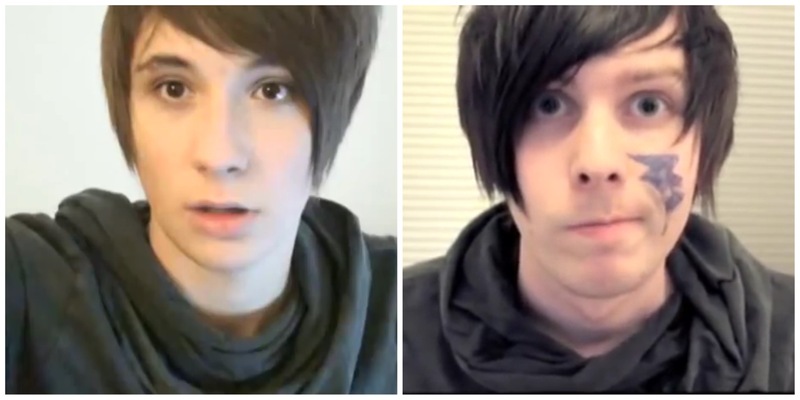 has Dan worn Phil's clothes and vice-versa? A: Yes. See the numerous photos further down in this post! 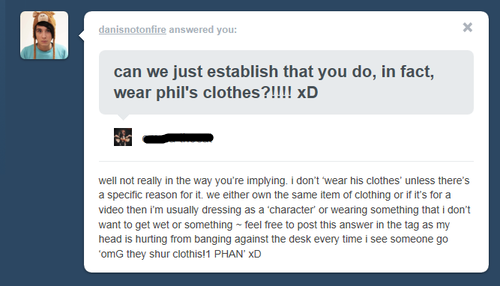 Q: Has Dan denied that he and Phil share clothes? Dan: No… pfft, “often” — what do you mean often? ...Okay, in that one video, I have the SAME pair of underwear as Phil; we both walked into Next and saw a pair of Sonic underwear and we had an argument over who should buy it, so… we both own the same pair of underwear. 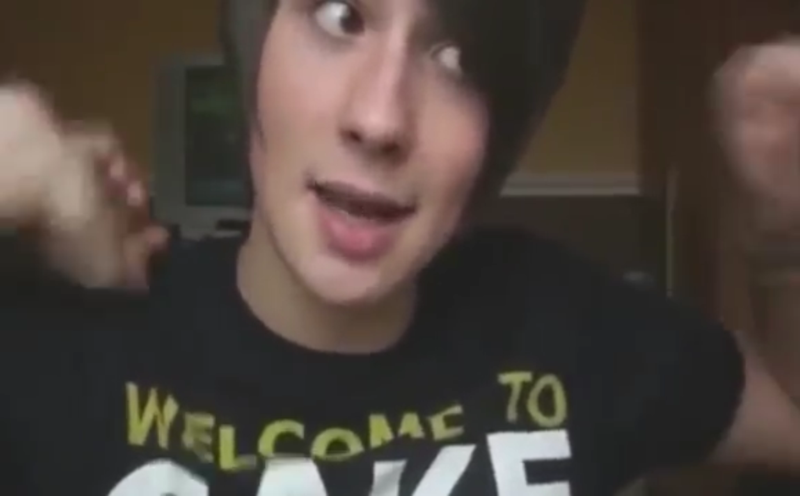 And for that one video, I borrowed his Babycakes t-shirt because everything I own is black and I wanted to not look boring ...“Often”? Really? [laughs] Creepers. 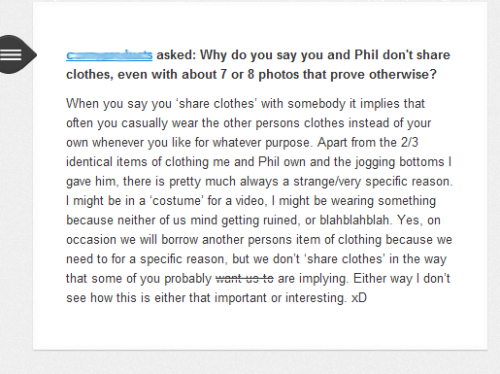 Ask: Why do you say you and Phil don’t share clothes, even with about 7 or 8 photos that prove otherwise? Q: Is what Dan’s saying true? A: Not really. Sort of, but it’s very misleading. First of all, he IS CORRECT that many times when he has worn something that belonged to Phil, it was merely to play a character in a video. 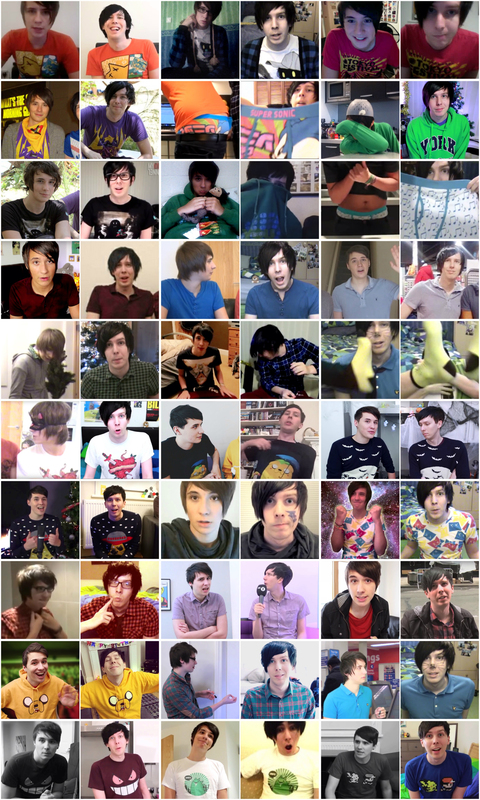 To be fair, a lot of these are from times when Dan was visiting Phil’s house (so he probably had a significantly limited wardrobe with him at the time), or when they were on vacation together (again, limited wardrobe). Also, Dan refers to “the jogging bottoms I gave him” — presumably the burgundy A&F ones. So according to Dan those don’t count. For example, in the one where he’s wearing Phil’s green sweatshirt, he is not living with Phil and he’s not staying at Phil’s house. He is at Uni, which means that he had to intentionally borrow it from Phil. 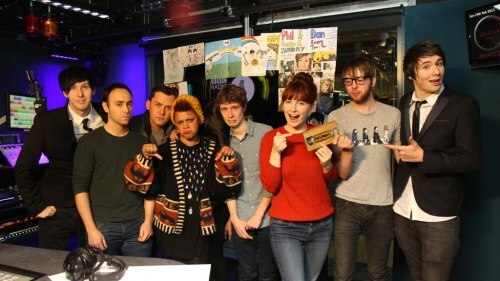 Also, it’s noteworthy that this seems to be Phil’s go-to hoodie for when he’s ill. He wears it in “Man Flu” and in a liveshow where he’s sick (the Toxic liveshow lol). Aww. You’ll notice I picked an example of him wearing the orange Babycakes t-shirt from somewhere other than the pancakes video. Everything you could ever want to know about the Babycakes t-shirts. Which version is the truth? He then shows brief clips of himself in four of the t-shirts. Dan’s early comments (“I apologise to you all for stealing the 5th bbycks t-shirt that he couldn’t show you xD” and “for that one video, I borrowed his Babycakes t-shirt because everything I own is black and I wanted to not look boring”) both suggest that Paul Griffiths gave Phil five t-shirts and Dan “stole” one of them. Which would mean Dan was lying when he later claimed, twice, that they were BOTH gifted he orange shirt (and possibly other babycakes shirts as well). If he’s not lying later, then he was lying when he said he “borrowed Phil’s Babycakes t-shirt,” but why would he have lied about that? 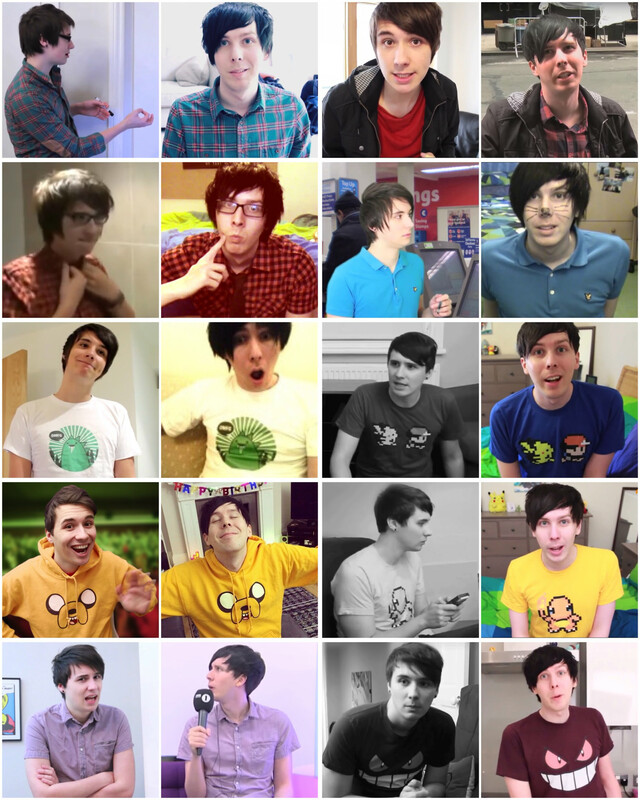 Yes, Dan and Phil share clothes. That much is certain. What is up for debate are Dan’s motivations. 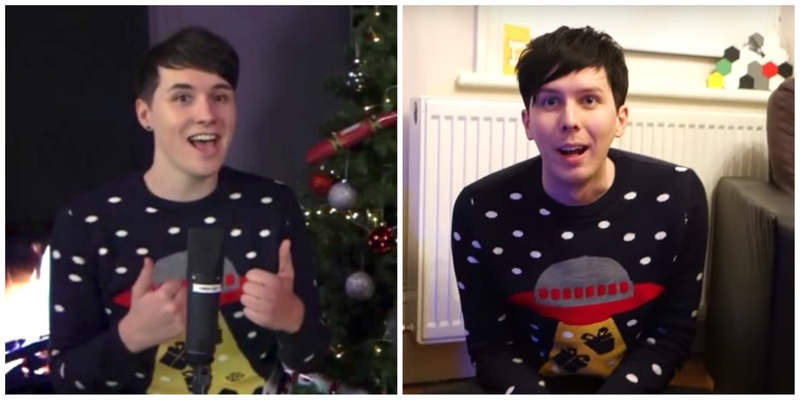 Sometimes, Dan only borrows Phil’s clothes for videos. Other times, he seemingly borrows them just for fun / convenience / sentimental reasons. Dan has vastly downplayed the frequency with which he borrows Phil’s clothes and made it sound like he does it only when forced to by logistical factors or the need to give different characters costumes in his sketch videos. This is clearly not true. He’s also blatantly lied — regardless of which tale is the truth, it is undeniable that he has said contradictory things. It’s not a big deal that Dan and Phil share clothes (except maybe the underwear…), but Dan made it a big deal by denying it. Also note: The last instance I can find of a blatant clothes-sharing denial is October 2013. That was more than two years ago. He has borrowed Phil’s clothes several times since then, in very overt ways. So possibly he’s left this phase behind him. 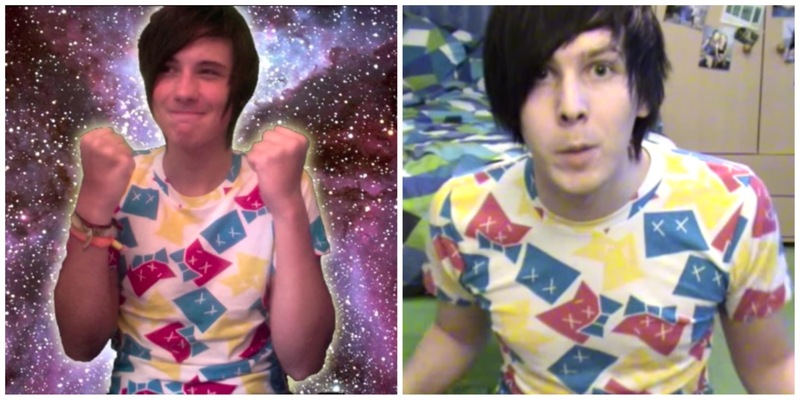 I often see these cited as examples of Dan and Phil sharing clothes. They are not in fact the same items of clothing, if you look closely! so me and @Phil have been playing dress-up all day..
not like that you sicko’s. by yah, he raped me with his clothes and glasses. what do you think? do i make a sexier phil than phil? 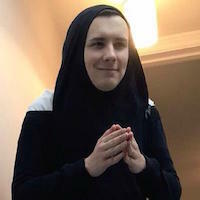 Yes you do, but does he make a sexier Dan than you? • Phil = https://www.youtube.com/watch?v=bnvs_HchZsg, dailybooth, etc. They would've avoided all the underwear sharing drama if Phil didn't show his viewers the new boxers he bought, cause we would've assumed they were both just Dan's..
Haha, we on IDB routinely spend half an hour or much more analyzing all sorts of random information, huh? Such is the life of a middle-aged nose pervert. Anyway, yeah, it's quite funny how Phil used to show off his underwear like that. Between Dailybooth and old videos, he's probably displayed like, idk, six pairs to the camera (don't quote me on that number though; that's just my impression). And of those pairs, Dan has worn two on camera? That's a pretty high percentage. You just have to wonder how often it actually happened (or happens??). If ever Dan wore Phil's underwear but 1) Dan didn't wear/reveal them during a video and/or 2) it was a pair Phil hadn't shown us previously... we would never know! I assume one of them was for him to change into after the soda thing. I don't know why he needed two pairs though. Aren't these the exact same type of Calvin Klein's? That's true, I've pondered this. We know (from what Dan says) that Dan "gave" Phil his own old maroon sweatpants, so there is sort of a precedent. Although like you said, even that scenario is pretty weird in the case of underwear...like why would Dan wear Phil's hand-me-down-underwear? 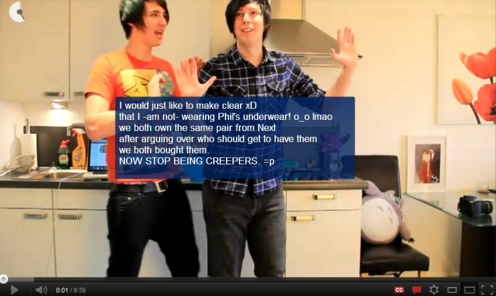 But yeah, it's true that Phil rarely shows the underwear he's actually wearing. For all we know the music note and sonic pairs of underwear actually didn't fit him, but he kept them because he liked how they looked or something. And then when he met Dan, maybe he was like, "Hey, I have some old underwear I've never worn because they don't fit. Want 'em?" Idk. I don't understand what this?